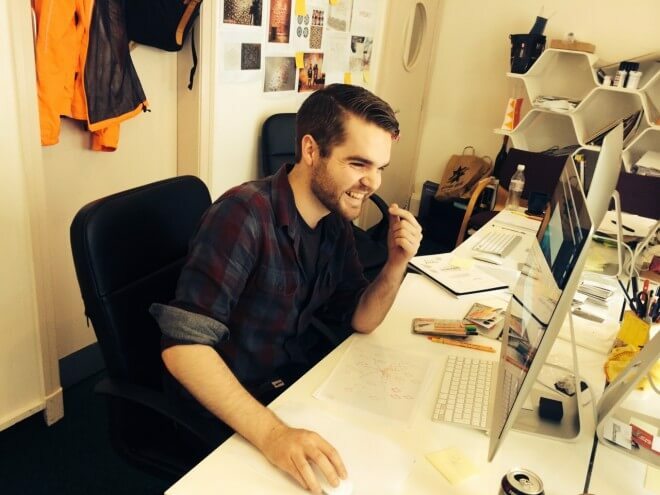 We are delighted and very lucky to be welcoming talented Design Superstar Chris Newton to the loft for his internship. Favourite Design Tool? It’s all about InDesign and pink pens. Favourite Studio Music? The Black Keys or The Kills or The Yeah Yeah Yeah’s. Anything on X-FM really!